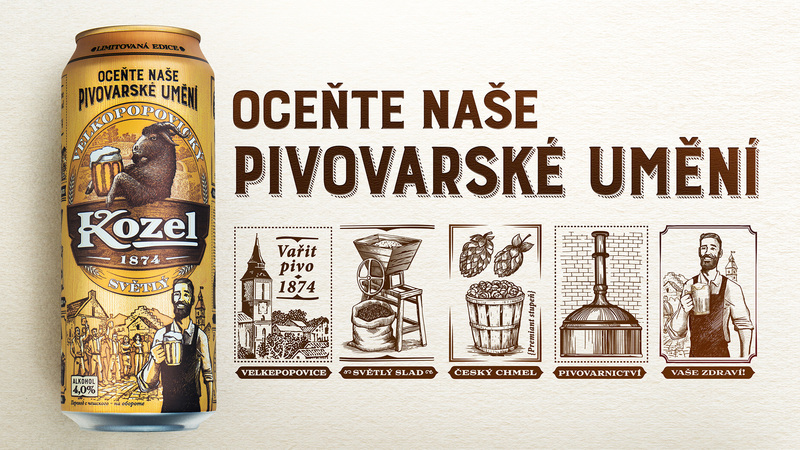 In 2016 brand Velkopopovicky Kozel has launched a new campaign about Czech brewing, dedicated soulfull and qualitative approach to the process of brewing. 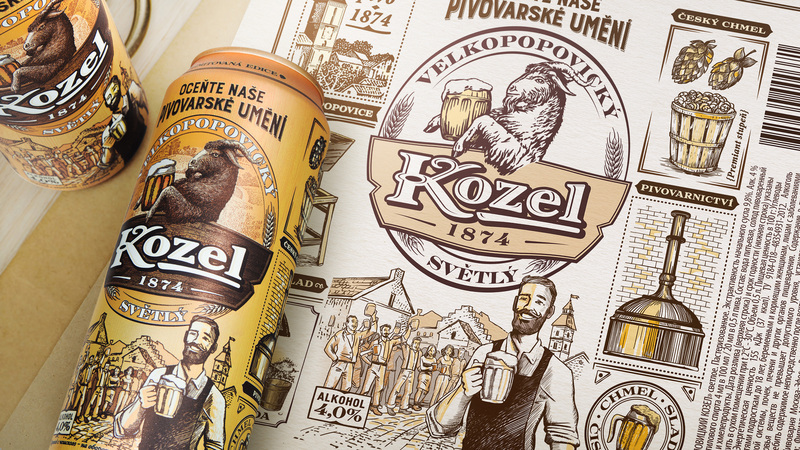 The agency was tasked to create design for limited edition cans of Velkopopovicky Kozel Svetly, reflecting the key qualities of the brand: hospitality, naturalness, quality and Czech origin. 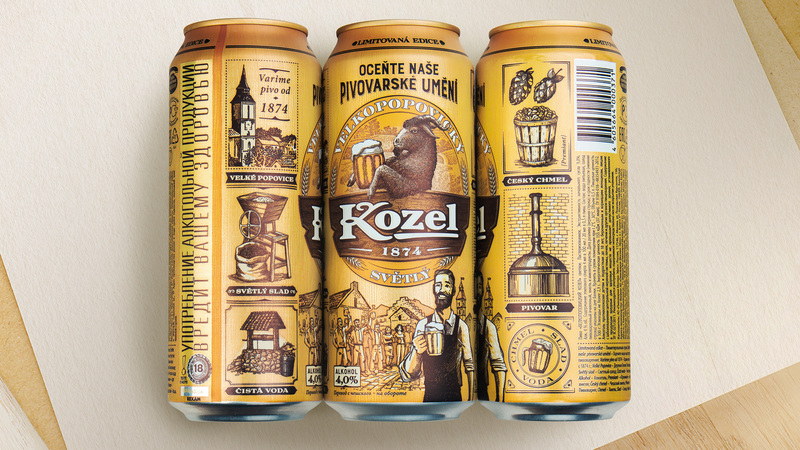 As a result, there was the design, conveying sincere atmosphere of the Czech Velke Popovice village, homeland of Kozel beer, where brewing process is doing with love and proficiency. This fact is illustrated by the series of small pictures placed on the sides of cans and supported by comments in Czech language. Carrying out this campaign allowed to reach record level of sales, significantly improve customer loyalty and achieve the most ambitious results.